Before I get into the article, I want to personally thank Mark Divine for giving us this opportunity and for his team, Chriss “Quattro Deuce” Smith and Brad Mcleod, making the journey and guiding us throughout the day. 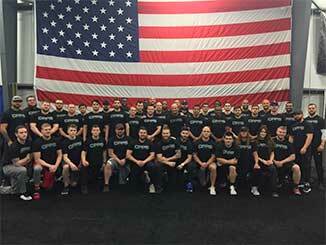 SEALFIT is changing lives everyday, and because of this new venture, many more will have the same opportunity we did. Little did I know that a quick conversation with my boy, Paul Reddick, would change the course of my year, and ultimately, how I live my life. Five months ago, Paul told me that we might have the opportunity to participate in something really special, but it would require 110% commitment for the next half a year. Commander Divine wanted to create an event structured around SEALFIT’s 50 hour Kokoro camp that could be done outside of the Divine’s home base in Encinitas, CA. He would use our group to test out the idea. We had 9 guys on our team who would buy the required equipment, begin training, and show up for the day of the challenge. Unfortunately, over the course of the 5 months, it didn’t work out the way we planned. Two guys got hurt and two others had commitments come up that they couldn’t break. So when the team was dropped to five, we pulled from our extended group of friends and found two last minute replacements. So our team was set at seven. For an old wrestler, the last thing I wanted to do was start running again. I mean, let’s be honest, I don’t really run, it is more of a gallop or fast mosey. But the challenge was going to require running; lots of running. And not only running, running with a ruck sack, or a backpack filled with a ‘pill.’ A pill is a duct taped bag of sand. For our event, the weight of the pill would be 10% of your bodyweight, or 22.5 lbs for me. Oh yeah, I forgot to mention, I wouldn’t be running in cushy Nike’s either. I would be running in military boots. Wow, talk about my worst nightmare. 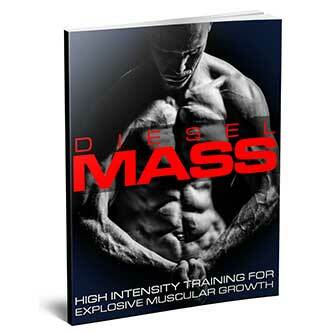 The heavy strength training I was used to would have to be replaced with lots of conditioning and metabolic work. The funny thing was that before the challenge came up, a set over 8 reps was conditioning for me. To make it through, I also knew I would have to extend the duration of my training past the standard one hour workout. Needless to say, I had a long way to go. Like everyone else on the team, I didn’t want to show up and be the weak link. The guy that held everyone back and didn’t give everything he had. So I started training and running. I progressed from not being able to run a mile straight, to hitting four miles with the ruck during the last weeks of training. I progressed from sets of 20 push-ups, to 500 push-ups in 30 minutes. I progressed from sets of 10 pull-ups, to 100 pull-ups in 10 minutes. I had many small victories over the course of the training, and so did my teammates. As an example, here is my last training session before the SEALFIT challenge. It was done on Tuesday, 4 days out. What it came down to was 2 hours of constant work. We only took a break to get water and to transition between stations. We grew closer as a team during the training because we were constantly in contact. We shared our training, our obstacles, our mindset, our fears and everything else. We knew going in that the team would always be the most important thing. We would pull together and work together in times of weakness and be stronger if we acted as a unit. Each of us accepted the challenge for different reasons, but the underlying theme was just to challenge ourselves and overcome something really big. And if our ‘why‘ wasn’t important enough, we would likely quit if it got too tough. We knew that despite our individual reasons, we would have to come together as a team. That means when things get tough, and they did very quickly, each of us would focus on every other member of the team and not ourselves. This fostered a very important mindset. When asked about SEALFIT challenges, Mark Divine stated that the truth is, “no one can do the physical challenges……alone.” His implication was that you HAVE to work as a team. You have to come together and meet every obstacle as a group to overcome and conquer. I know for me personally, I haven’t gotten outside of my comfort zone for many years; and never to this level. I had forgotten about my potential and had to find it. I had slipped into a ‘sleeping while wide awake’ dream and my days drifted seamlessly together. I think before this year I had really forgotten what is feels like to be alive. I knew that breaking the cycle and fighting ‘homeostasis’ would take unbelievable bravery. Because the truth is that most people would rather die, than face their fears. But something special happens every time you conquer a fear. You change and become different. Our Seal instructor’s called this “sharpening the blade.” It is a stepping stone in your life that you can build upon and get better; better than you were yesterday. You have to continue sharpening the blade. One highlight of the day, was a team building exercise where each of us recited a different line from a poem. The poem was Invictus. This was powerful to say the least. At that point in the day, and with me being exhausted, it brought tears to my eyes. The message was about being unconquerable, the latin translation for Invictus. As each member recited their line from memory, the poem told an uncommon story. The story of fearlessness and unrelenting spirit. I have committed the entire poem to memory and will be reciting it every day for the rest of my life. We were there early, before the 6am start. We chatted with the two instructors like it was just another day. Then at 6:01 am, a switch was turned and everything got crazy intense. The 2 hour training sessions I was doing, and thought would help me, didn’t compare to the first 30 minutes of the challenge. The pace was fast and we were just getting started. It definitely was a rude awakening. I understood very quickly what Divine was talking about when he describes how extreme physical challenges is a way to develop stronger mental toughness. We started the day as individuals and slowly, but surely, we became a team. With each evolution, the bond between us grew and we started acting together. Chriss and Brad gave us consequences if we didn’t pay attention to the smallest details and there was no playing around. As Divine says, we truly are capable of 20X more than we ever thought was possible. I stopped being afraid and just acted on instinct. Over the course of the 12 hour day my body gave out on me, but I didn’t stop. I kept moving forward, one step at a time. Each step and each rep was another victory. There was no way I could stop with my team counting on me and the thought of my kids watching me. It felt like they were watching everything I did. In the toughest hours, I kept them in the front of my mind. And I knew each member of my team was doing the same thing. Mark Divine was right, an extreme physical challenge will leave you with a sense of peace. I look back on things I’ve done in the past and I think I’m strong enough now to do them differently. When I yelled, I would now remain calm. I can feel this peace trickling down into every aspect of my life. The destination of SEALFIT was not the end of the journey for me, it is a milestone. A stepping stone to build upon and continue trying to be a better Dad, a better husband and a better friend. I will continue sharpening the blade and dedicating my life to my family and trying to inspire others to greatness in their lives. Inspiring stuff. While walking along the beach near Montpellier in France with my wife we were laughing at how middle ages everyone was, out of season no kids anymore, probably no jobs. Pushing 60 in such a world how do I keep the light shining? great article, as always. Really enjoyed the ‘sharpening the blade’ metaphor. Thanks for taking the time to give such a detailed account. Inspiring (would expect nothing less). Imagining your kids watching you hit home for me, and finding a deeper level of peace after completing such a long grueling challenge is something I desire myself. Congrats!!! No gals in the team then? Do you know what the percentage of female participants in this event is? Congrats Smitty – awesomeness oozing out of you right now!! I saw the email come in that you sent Saturday morning explaining the challenge you were about to take on. I was awake and checking my email a last time before I too embarked on a challenge. I was taking off on a 3 day solo hiking mission (w/ a 60lbs pack). I just wanted to let you know that I was thinking about you periodically while I was on the trail Saturday, wishing you well as I knew you were in for quite the day. I even found myself picking up my pace and attitude whenever a less than useful thought entered my mind, with the knowledge that you were out there somewhere grueling away! I learned something about myself out there over the 3 days, a comfort zone expanding experience. Just giver I say, and giver hard! So please with you, Sensai! You are amazing testimony of hard work and dedication. 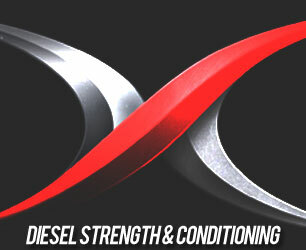 #TeamDiesel and #DieselNation for life! Truly inspiring stuff Smitty! Keep it up. You help people beyond what you may realize.